A good news for all individual from India, Symbol for Indian currency has been finalized by the team. 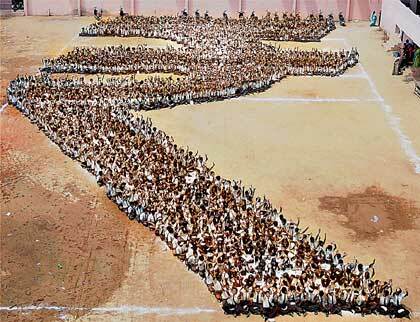 The Indian rupee will join the dollar, yen, euro and pound with its own symbol. The new currency icon is an amalgam of the character for ”Ra” in the ancient Devanagari script used in Hindi and the Roman capital ”R” without the stem. ”The symbol for the rupee would lend a distinctive character and identity to the currency and further highlight the strength and robustness of the Indian economy as also a favored destination for global investments,” the government said in a statement. It ”reflects and captures the Indian ethos and culture”, the government said. The symbol will also help distinguish the Indian currency from other national currencies, especially those also designated as rupee or rupiah, such as Pakistan, Nepal, Sri Lanka and Indonesia.